There was nothing terribly frightening about it at first. There were no boils or sores like you see in TV movies, no one coughing up blood like an Ebola victim. The assault began in slow motion—seemingly random fields that were so spread about that no one thought to do any sort of forensic analysis to determine if perhaps something systemic might be taking place. Corn in Iowa, wheat in Russia, soybeans in France. 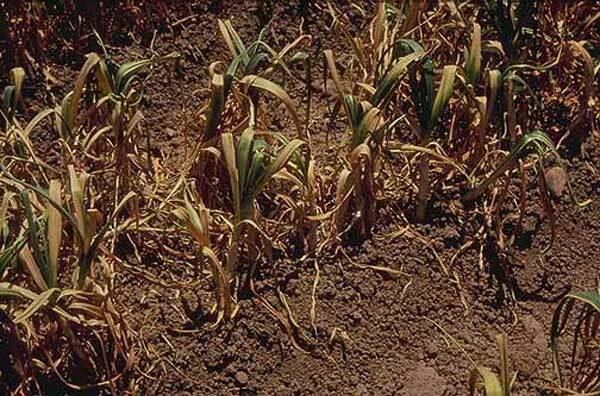 Just ordinary crop failures, easy to blame on lack of rain, a bad batch of seed, climate change. An actual blessing for some farmers, at least in the early going, since a reduced crop meant higher commodity prices and, if the failure was complete enough, crop insurance payments kicking in. It wasn’t until the fourth consecutive year of the failures that analysts began to realize that the percentage of failed crops was rising, and that the rate of increase was not linear but exponential. It was also in this fourth year that scientists began conducting genetic assays of samples from a wide range of crop types and a broad disparity of locations. In a scientific paper presented at the 2017 International Conference on Agriculture and Biological Sciences, it was stated for the first time out loud that nearly all of the failures of the recent half-decade had been due to precisely the same cause, a cause no one yet understood, much less had any idea how to control. It was forecast, based on a statistical analysis of these first years, that next year’s total global agricultural production would be fully eleven percent lower than the peak of five years earlier. The way it worked was remarkably consistent, crop to crop, location to location. With the benefit of hindsight, it’s a wonder people didn’t see a connection sooner. Regardless of whether it was corn, wheat, cotton, or soy, the progression occurred the same, or very nearly so. The sprout appeared in the requisite number of days after planting. It continued growing in a more or less normal manner for the next three to four weeks, achieving the first six to eight inches of growth, depending on the specific plant type. Then, at around a month into the cycle, a rusty tint began appearing around the edges of the young leaves, a tint that quickly worked its way toward the core of each leaf. Within eight to ten days of the blight’s first appearance, the young plant drooped and fell to the ground. If you looked out across a vast verdant field of new seedlings, you could watch the color progress from bright green, through yellow, to brown, as far as you could view in every direction. Once farmers and agricultural researchers around the world began comparing notes and discussing these developments at academic conferences, people who knew the details began to get scared. The rest of us noted the occasional news story, griped at having to pay a bit more for our produce at the grocery store, and went on with our lives. As the famines began springing up in Somalia and India, no one took much notice. Those far flung places were always having problems of one sort or another. We lost another year because once the scientists realized something was going on, they chose to focus their research efforts on the plants. What they should have been doing instead was having a look at the soil. Wilfred Pendergrass was the foremost expert at MIT on agricultural genetics. He was also Professor Emeritus in the agricultural science department, and had retired just eighteen months prior, expecting to enjoy a long and well-deserved respite at his oceanfront home on Cape Cod. Things had been going pretty much according to plan up until the moment he had received the call from university President Clayton Crocker. Getting that call at this point in his life was a relatively rare event. Having the senior senator from the state of Massachusetts, Mark Felder, on the line with Crocker was without precedent. A month had now passed since Pendergrass had been so unexpectedly drawn out of retirement, and in that month he had met with Crocker or Felder (or both) on no fewer than half a dozen occasions to discuss what was now globally regarded as the greatest agricultural threat the planet had ever encountered short of the Chicxulub comet that ended the dinosaurs’ reign. “Can the virus be killed?” Felder asked. Felder was the senior congressional representative on the U.S. Department of Agriculture’s hastily assembled working group that was endeavoring to understand and address the impending calamity. There were by now plenty of other nations with research and exploratory groups of their own, and the leading dozen of these met by conference call every Thursday evening to discuss progress, or, more often than not, the lack thereof. “Which leaves us exactly where?” Felder pressed. “Jesus…” Felder said, not quite quietly enough. “Yeah … Jesus,” Pendergrass echoed. The senator sat back in his chair and said nothing further for a moment. He then rose and stepped toward a liquor cabinet discreetly built into one of his bookcases. Extracting a green bottle and a pair of highball glasses, he gestured in the professor’s direction. Felder poured two generous glasses and walked back to his desk, handing one to Pendergrass. Pranav Varma stands at the eastern edge of a one-acre cornfield. It is mid afternoon, and the heat of the Gujarati sun pours down upon Pranav and upon his nascent crop. The small parcel of land is the only possession of any value for Pranav and his wife Anit, an asset that had come to the young couple from her family upon their marriage. The couple, lifelong residents of rural Gujarat, has used the land to feed themselves and their two daughters for the entire seven years of their marriage. As Pranav continues to stand in the hot sun, occasionally dabbing at his glistening brow with a rag, Anit emerges from the nearby house and walks in his direction. As she approaches her husband, the two girls—three and five—run in the small yard, calling to one another. Pranav, absorbed in contemplation, does not hear his wife’s footsteps. “No change?” she says upon reaching his side. Pranav does not look at his wife. There is genuine fear in his eyes and he does not want to share it with her. “Oh, there is change,” he says. “But only for the worse.” She is an intelligent woman and she will not be denied the truth, particularly in matters that affect the prosperity of the small family. The crop is six weeks in the ground and it should be nearly half grown. It should be to the height of his waist. It should be a healthy, almost glowing shade of green. The combination of rain and sun this season has actually been better than most years. The crop showed every sign of being better than normal, enough to feed the family and leave enough extra to sell for meat and other staples. But the plants are not waist-high and they are not the radiant shade of green that typifies vibrancy. The plants—those that remain—are only one foot or so tall and the leaves are a pallid mixture of brown and yellow, with only the faintest traces of green. The previous season’s harvest had been worse than expected as well, and Pranav has spent the majority of the family’s remaining funds purchasing the seeds that now appear to be going to waste in the field. 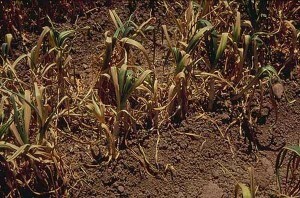 The combination of vicious summer heat and dryness mean that another crop cannot be attempted for many months. For the first four years of the marriage, their crop was bountiful, and the family, though by no means affluent, did not want for sustenance. But the plot has been falling in productivity for the most recent three years, and Pranav has no idea why. And it is not just the Varma’s tract of land that suffers. The dozen or so surrounding families, with whom Pranav and Anit socialize in the village, are all seeing the same difficulties. They help one another when it is needed, but this thing—whatever it is—affects them all. And this is the first crop that looks as though it will be a total loss. “Perhaps some more water,” Anit says quietly. Pranav does not respond. “You water and I will say the prayers.” She grips his hand tightly, then turns to return to the house. She shouts something to the girls, but Pranav does not hear. His eyes have not left the browning field during their entire brief conversation. Now he slowly sits down on the front wheel of his small tractor. A lone cloud passes before the glaring sun, but Pranav only continues gazing out over the field. There are many challenges associated with conducting research at the Texas A&M Agricultural Biological Engineering Center, but for the past couple of years, money has not been one of them. Since the onset of the global crop failures three years ago, ag-bio programs at the world’s universities have been awash in cash, few more so than the Texas A&M ABEC program, widely regarded as one of the world’s finest. Not only have additional research funds been pouring in from government and private sources, but much of the existing grant money, earmarked for other sorts of research programs, has been diverted into working to figure out what is devastating the world’s agricultural productivity. So far, two years and nearly five billion dollars have been spent, with little to show for it aside from the realization that the problem is a virus in the soil, and that it has, by now, been carried far and wide, with failures across wide swathes of every continent. A high-resolution image of the virus was displayed on the large monitor on the lab wall. Consensus throughout the lab was that it most resembled the bass clef symbol in musical notation, kind of like the upper portion of a question mark, but without the reverse curve at the bottom. The man asking the questions was Rogers Halpern, the latest of numerous USDA representatives who had been through the lab in recent months. Nobody quite knew what his role was, but it was clear that he was new to the problem. Also clear was that the lab was now largely funded by USDA money, meaning that when anyone visited who had USDA credentials, they were entertained in whatever fashion they chose to be, even if that included being brought up to speed on otherwise long-established knowledge. “I almost hate to ask, but what’s the bad news?” Halpern said. “Oh, God no,” she replied. “In an odd way, that’s kind of the good news. That it’s only one kind of virus, I mean. It could have mutated and left us to deal with multiple strains. So far, no sign of that. No, the other bad news is that the virus runs from the surface of the fields down to a depth of over half a meter in the soil. So we have two choices for dealing with our friend there.” She turned back to the virus image on the screen. Either we remove and reclaim the top half-meter of soil from the seven million or so square miles of land currently used to grow crops on earth …” she paused. Halpern looked confused by this last assertion. Halpern gave her a look somewhere between annoyance and resolution. He looked once more up at the image of the virus on the display, then back to Majidi. “Like I said, Doctor, not reassuring … not reassuring at all.” He turned without further comment and walked out of the lab.